You'd be shocked and surprised at what we discover each week while conducting routine home inspections and that's why it's in your best interest to look out for yourself and/or your family by having the property you're considering inspected! Getting a property inspected before forking over your hard earned money puts you in a position to know what’s really going on behind the scenes… At least if you have these findings presented to you before you purchase the property, it puts you in a better position to negotiate price and/or the repairs of the home with the seller, thus keeping you from having to come out of pocket. Now let me ask you this... What sense does it make to go out and spend $300+ thousand dollars on a home, only to move in and discover that you have about $15,000.00 worth of repairs that you got to pay for yourself? Well... that's the purpose of getting a home inspection. 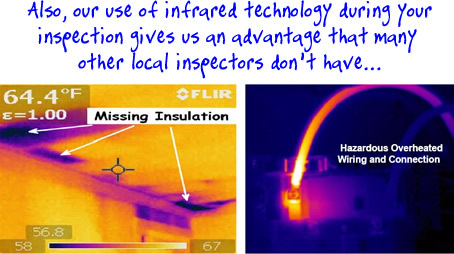 It's this inspection that gives you an independent, unbiased review of any problems or potential safety issues in the house. Our clients have managed to save and negotiate on hundreds of thousands of dollars in repairs and costs because they were armed with a detailed inspection report outlining our findings. The only way to know for sure if you’re buying a dream home or money pit is to hire an experienced, certified home inspector. Newcomers, part-timers and cut-rate handymen simply don’t have the ability or expertise to provide the comprehensive inspection you’ll need. Having your new home professionally inspected by A Full House Inspection Co., as early as possible in the buying process can save you thousands of dollars. 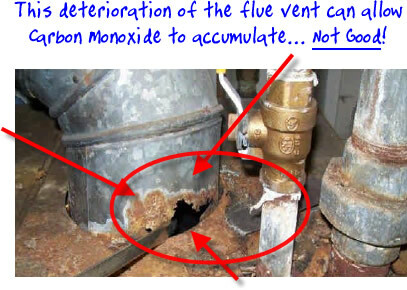 Many of the problems or faults we find during our inspections are hidden to the casual observer and might go unnoticed. However, with our comprehensive inspection and subsequent report, you are completely informed about the quality of the property you are purchasing. Instead of inheriting these hidden problems with the purchase of the perspective property, with our report, you have the documented proof to inform the current owners or builders of the property and request them to make repairs, changes or upgrades at their cost, NOT YOURS.